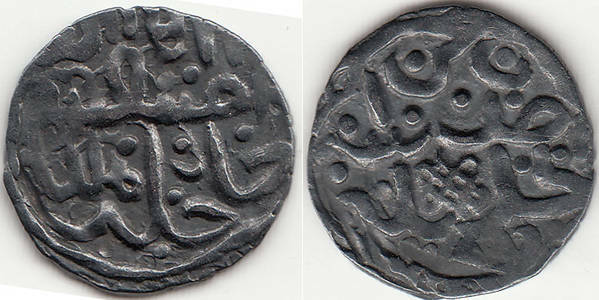 Jujid AR dang, Toqtamysh, Sarai al Jadid, 782 A.H.
Name of Khan in Mongolian-Uyghur scripts. Keywords: Jujid AR dang, Toqtamysh, Sarai al Jadid, 782 A.H. Please see: Medieval> Islamic> Mongol > Golden Horde (Jujid) index entries for a great selection of these Golden Horde (Jujid) coins by "jumanji"